This four-part guide provides quick instructions on how to generate a CSR Code and install an SSL Certificate on Palo Alto Networks. 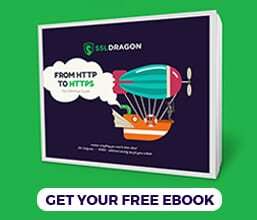 The first two sections focus on the technical aspect, while the latter segments contain a brief history of Palo Alto, as well as useful tips on where to buy the best SSL Certificate for Palo Alto Networks. If you’ve already applied for an SSL certificate and generated the CSR code elsewhere, feel free to skip part one and jump straight to the installation guidelines. Use the links below to navigate between sections. 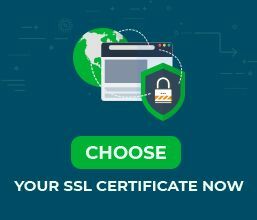 Where to buy the best SSL Certificate for Palo Alto Networks? You can’t get a commercial SSL Certificate without generating a CSR (Certificate Signing Request) first. Along with the CSR, you will also create your private key which will remain on your system. After the CSR generation, backup your private key file, you’ll need it during the SSL installation. The private key will remain on the Palo Alto Network system. After your CA validates your SSL request and sends the necessary SSL files to your email, you can continue with the SSL installation. Now, open your intermediate certificate and copy-paste its contents in the new plain text document you’ve just created, right under your primary SSL Certificate. Note: If you receive more than one intermediate certificate from your CA, place the second intermediate cert under the first. Save your Notepad SSL file containing primary and intermediate certificates with the same name as your CSR file. Make sure it has the .cer extension. In the Import Certificate window, next to Certificate Name, enter the name of your SSL Certificate. It must be the same as the CSR name. Click Browse to locate your .cer SSL file. Don’t check the private key related radio buttons. Congratulations, you’ve successfully installed an SSL Certificate on Palo Alto Networks. After you install an SSL Certificate on Palo Alto Networks, it’s recommended to run a diagnostic test on your SSL configuration, to ensure that no SSL errors affect your site’s performance. With the help of these high-end SSL tools, you can get instant scans and reports on your SSL Certificate. Palo Alto Networks is an American cybersecurity company specializing in network security and cloud computing. Founded in 2005 by Israeli-American Nir Zuk, the company developed and shipped its first firewall product in 2007. In 2018, Palo Alto Networks was listed 8th in the famous Forbes Digital 100 ranking. We bring you the best prices on the market and stellar customer support for any certificate you buy. And, if you’re struggling to find the perfect cert for your project, our SSL Wizard and Advanced Certificate Filter tools will give you quick suggestions.